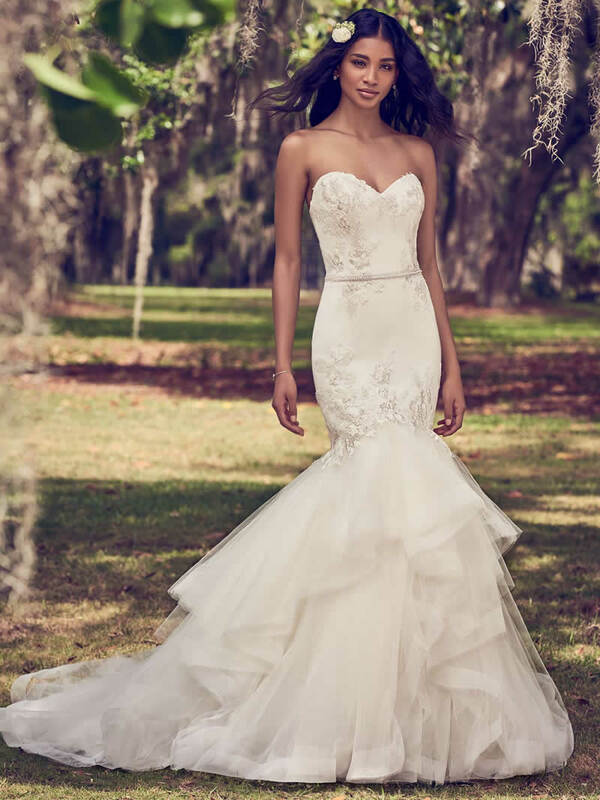 This mermaid wedding dress features a tulle bodice accented in embroidered lace motifs atop a tiered tulle fit-and-flare skirt edged in horsehair. 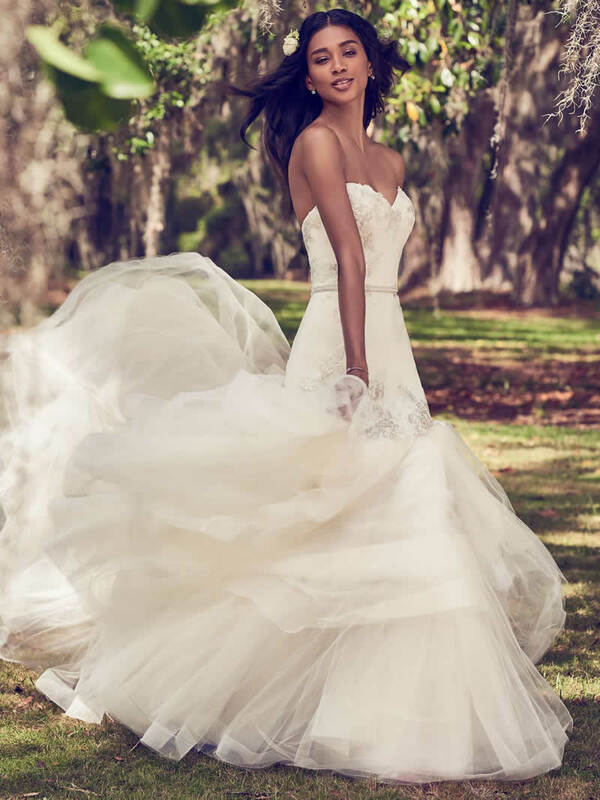 Complete with strapless sweetheart neckline and bead and pearl embellished belt. Lined with shapewear for a figure-flattering fit. Finished with covered buttons over zipper closure.